The Gold Ballroom is decorated splendidly for a 1927 debutante party. Bring on the drama! 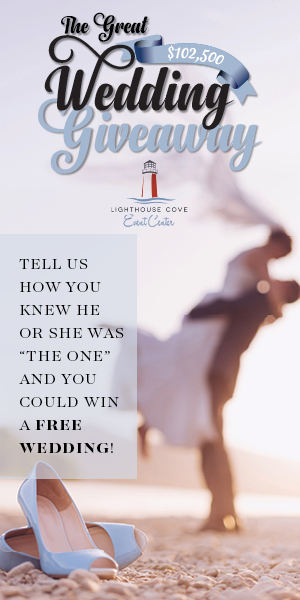 Choosing a location for our wedding gown photo shoot is key to its success. 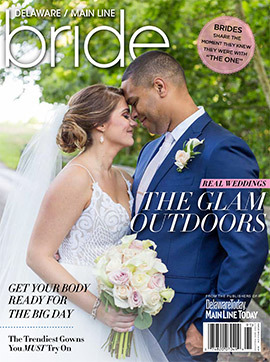 For this issue of Delaware Bride, we took the most exciting gowns of the season to the over-the-top glamorous Hotel du Pont. The 217-room landmark, in the heart of Wilmington, is less than 25 minutes from the Philadelphia International Airport and only minutes from Amtrak and I-95. In fact, our models popped down from New York City and Philadelphia for the photo shoot. The shoot coincided with the Hotel du Pont’s centennial celebration. Decades after its opening, former governor Pete du Pont said that the hotel was “the greatest gift DuPont could give to this community.” We are indeed fortunate to have such a gem. The history of the hotel is unique. Construction began in 1911. French and Italian craftsmen spent nearly two years carving, gilding and painting the magnificent structure. Neither budgets nor time restrictions constrained their elegant tastes or high standards in both design and construction. They spared no expense in creating a building that cost an estimated $1 million. 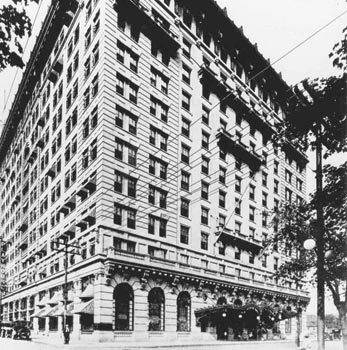 The 11th street façade of the Hotel du Pont as it appeared in 1920. At that time, 37 private balconies were available in select suites, which were occupied by permanent residents. On opening day, Jan. 15, 1913, guests flooded into the lobby, eager to savor authentic French cuisine in the elegant Green Room and to dance to live music in the distinctive 11th floor ballroom. Local newspapers estimated 40,000 visitors during its opening week. Most of our photo shoot was spent in the glorious Gold Ballroom. 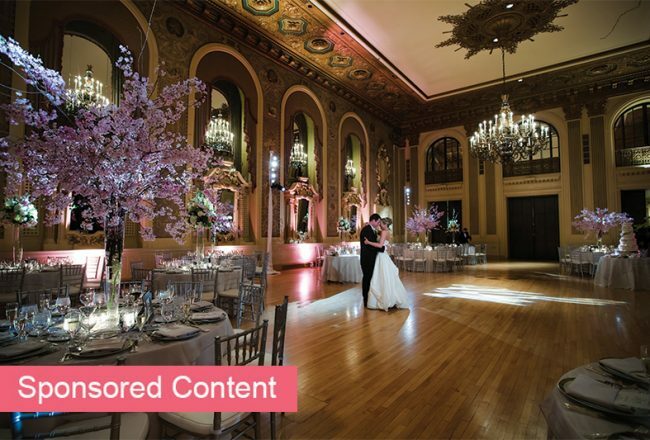 The photo below shows the ballroom spledidly decorated with fresh floral arrangements and garlands draped over the main chandeliers and sconces for a 1927 debutante party. Not much has changed since then. It is so refreshing to see how meticulously the hotel has preserved this beautiful piece of history over the years. The hotel proved to be the perfect backdrop for our high-drama wedding dresses. Its centennial anniversary reminds us that timeless beauty never goes out of style. Happy hunting for that classic dress for your special day.